Do your family and friends always turn to you when their computers go wrong? Below I will tell you how you can fix a PC with a few good portable programs on a USB Stick. If you are having problems with your computer you will properly turn to a trusted suite of programs, like CCleaner or CPU-Z ,and your antivirus software. But what do you do if the problem is on a friends PC or a laptop with precious little RAM? Easy, Just run your trusted suite of programs from a USB stick. 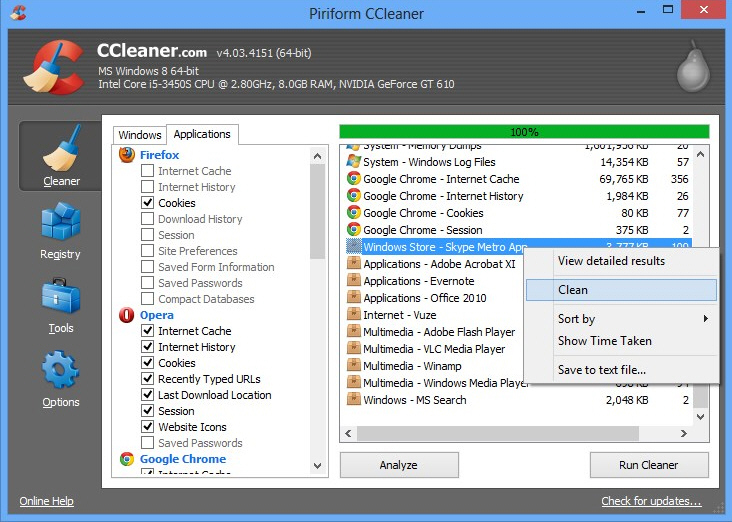 CCleaner is a well-established Desktop program that can also be run from a storage device like a USB stick. Simply plug in your USB stick in to any computer and double-click on the program’s EXE (.exe) file to run the program. That way there is nothing to install, and now junk will be left behind. Skype, LibreOffice and Firefox all have a portable version, but it’s the PC-fixing tools I am most excited about. While running Skype from a USB can be handy, running CCleaner from a USB could bring a friends PC back to life. The first step in troubleshooting a computer is to check for viruses and malware. McAfee Stinger is a free portable (standalone) antivirus from the same people that make McAfee Internet Security. Stinger’s tabbed window contains as many tools as you would find on any dedicated antivirus suite. You can scan a specific file or folder like the Registry or even the USB stick it’s located on. If Stinger does find any dubious files, you can kill them or quarantine them just like the full version of McAfee. Panda Cloud Cleaner Portable (click the second blue Download button) will also let you specify directories to scan and clean. It’s not as powerful as Stinger but it will verifie the results in the clould to help avoid false positives. Trend Micro’s Portable bug identifier HijackThis will look for any unauthorized settings or modifications, as they can be evidence of malware, and log them in a report. It can also scan for data, like metadata that is embedded in files, and not visible in Windows Explorer, this can often get missed by other malware scanners. Just keep in mind that sometimes-portable programs can be flagged as malware by some antivirus suites. The irony is that portable programs are often more secure as you can run them with out having to connect to the Internet or installing files hackers could exploit. 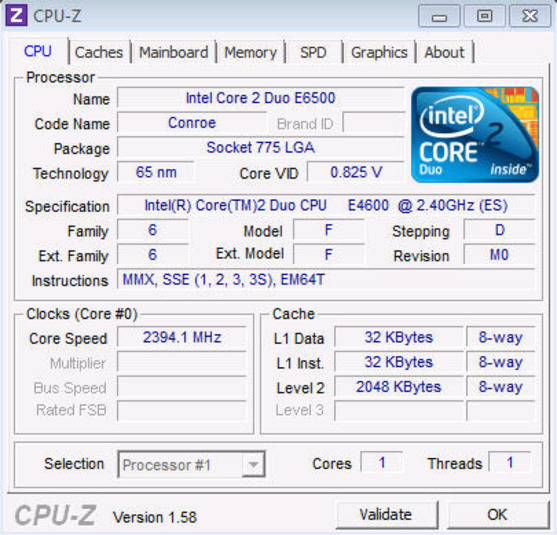 After you have ruled out viruses or malware, you can use CPU-Z portable to get real-time information about any computer its run on, like temperature to the status of any drivers (click Tools, then “Check for Driver Updates’), you can save the report as a text file (simply click ‘Save Report as .TXT from the tools menu) or print it if you need to go shopping for new parts. You could even give a copy to the owners of the PC for their own reference. When you are on the CPU-Z download page, make sure you only click on the purple “Download Now!’ button as everything else is an advert. Once downloaded, extract the Zip then double click on the 32but or 64bit EXE (depending on the system you are running it on) to run the program. The portable version of Speccy will generate a less comprehensive but easier to follow report then CPU-Z, and the latest version will now let you see the computers MAC Address. The new USB auto-installer version of Memtest86+ is a tiny program that can check PC’s RAM. 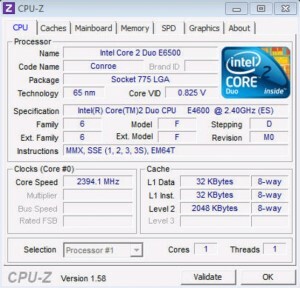 It’s extremely easy to run but it’s a little more complicated to set up than Speccy or CPU-Z. The EXE file is actually the installer, and it will only install the program on a USB stick. You will want to make sure you have a USB stick plugged in before you double-click on the EXE file, when the installer runs you will want to ‘Select your USB Flash Drive’, then click on Create to install Memtest on the USB stick. If you find you ever accidently delete any important files when clearing out junk or accidently deleted a load of family photos the Recuva is the program you need. Its especially useful for recovering files from a computer that won’t let you install software on its hard drive.